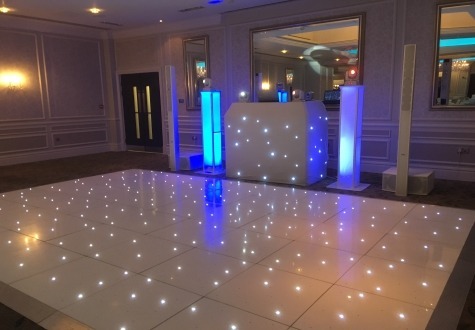 Rockliffe Hall is the regions only 5 red star hotel and resort, having been the preferred supplier to this exclusive venue for over 5 years you can rest assured knowing you are liasing with a company that has the expert knowledge and working relationship with the venue. We have had the pleasure of being the company of choice for hundreds of clients over the years and have delivered nothing but exceptional standards from the start, we’ve completed a wide variety of events within the venue from corporate events, weddings and right through to Rockliffe Halls own events. If your asking yourself why you should choose Magnum Entertainment for your wedding/special event, why not take a look at our What We Do and Why Choose Magnum pages for a little more information on ourselves. We provide a number of products and services not listed above…..Why not take a look through our Services pages for inspiration and contact us today for a no obligation quote specially compiled for your Wedding. Don’t forget based in Middlesbrough we supply all surrounding areas including Yarm, Darlington, Hartlepool, Redcar, Saltburn. 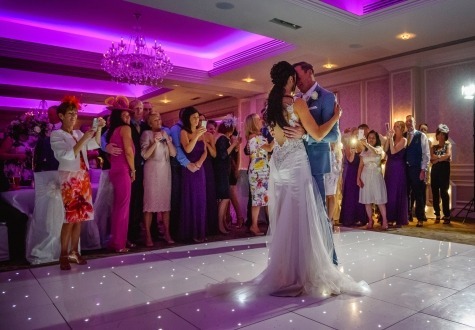 Just wanted to say a massive thank you to Chris who was the DJ at our wedding at Rockliffe Hall on 2 May! Top class service both before the wedding day and on the wedding day itself. The dance floor was filled all night long!